The H1N1 virus is really causing an issue with the global pork consumers with the weekends announcement that a hog farm in Alberta has been quarantined. Many are asking why a person just returning from Mexico was ever let in the facility in the first place but the biggest concern is restoring consumer faith in safety of Canadian pork. 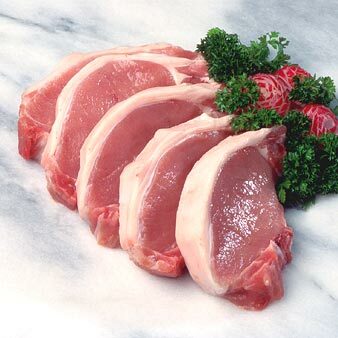 Alberta is the worlds third largest producer of pork. In the beginning everyone was referring to it as the swine flu which has created mega issues for the perception of pork. Organic producers are cheering the fact they believe this demonstrates the negative impact of factory farming while realists are angry that this was ever referred to as Swine Flu. The sad part here is that it takes years to build a brand and a single moment to destroy one and this is the challenge the global pork industry now faces. I know that I will still be eating pork which is very similar to the fact I ate beef after BSE. As Canadian consumers we must do two things. Continue to eat pork and show the world that our product is safe. With countries like China banning the importation of Alberta pork, there is some major work to be done by the industry as BSE proved it can be a very long process to get the borders re-opened and in the meantime the producer is set up for financial ruin.